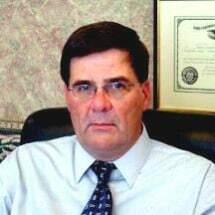 Douglas H. Smith has been a member in good standing of the Rhode Island and Massachusetts bars for over 25 years. Prior to his formal legal training, while attending Boston University, Mr. Smith worked as a summer intern at Rhode Island Legal Services in Providence. Later, while in law school, Mr. Smith was active in the Syracuse University Law Clinic Program, where he represented mostly indigent clients in various criminal and civil matters. Following his accelerated graduation from law school in 1978 on the Dean's List, Mr. Smith decided to associate himself with law firms with an excellent litigation reputation, which included over 6 years of experience working as an insurance defense lawyer handling trials and appeals on a daily basis. Over the next 20 years, Mr. Smith broadened this litigation background to develop experience in many different areas of Rhode Island and Massachusetts law, including real estate, wills and estates, personal injury, bankruptcy, and domestic relations law. Nonetheless, during this entire time, the primary focus of Mr. Smith's law office has not changed, which is to maintain a successful and rewarding legal practice through delivery of a quality legal product to one satisfied client after another.